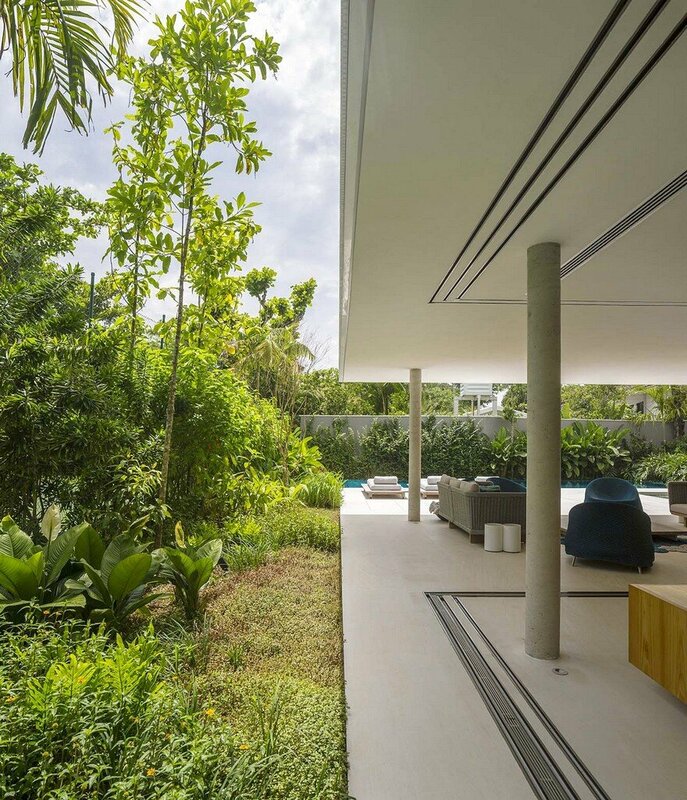 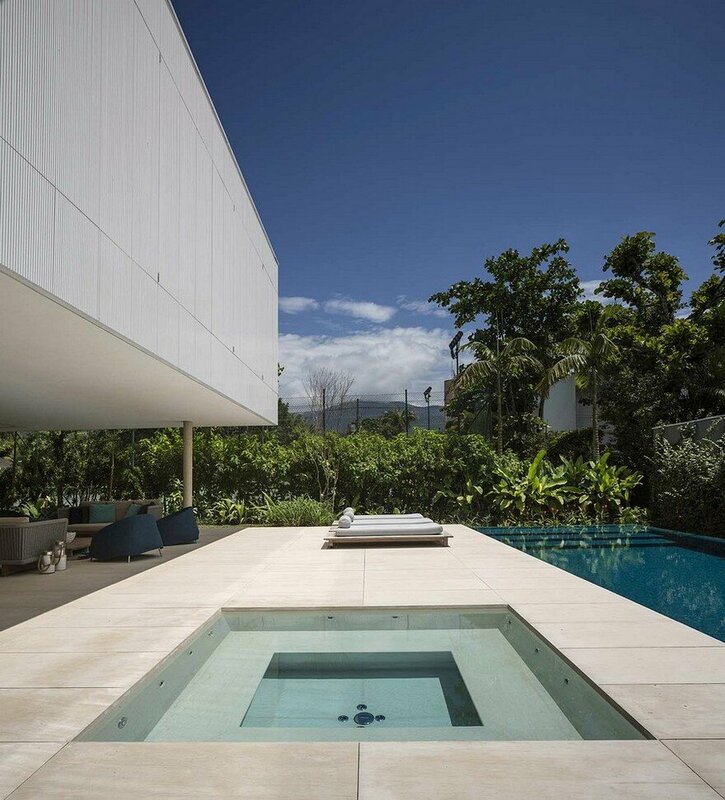 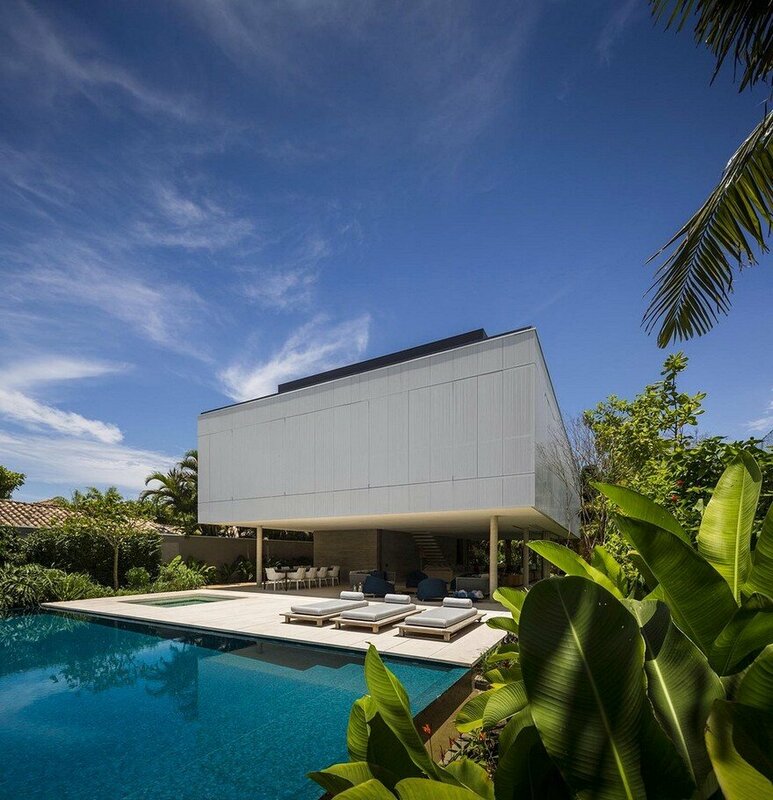 Casa Branca is a tropical beach house designed by Studio MK27 in collaboration with Eduardo Chalabi. 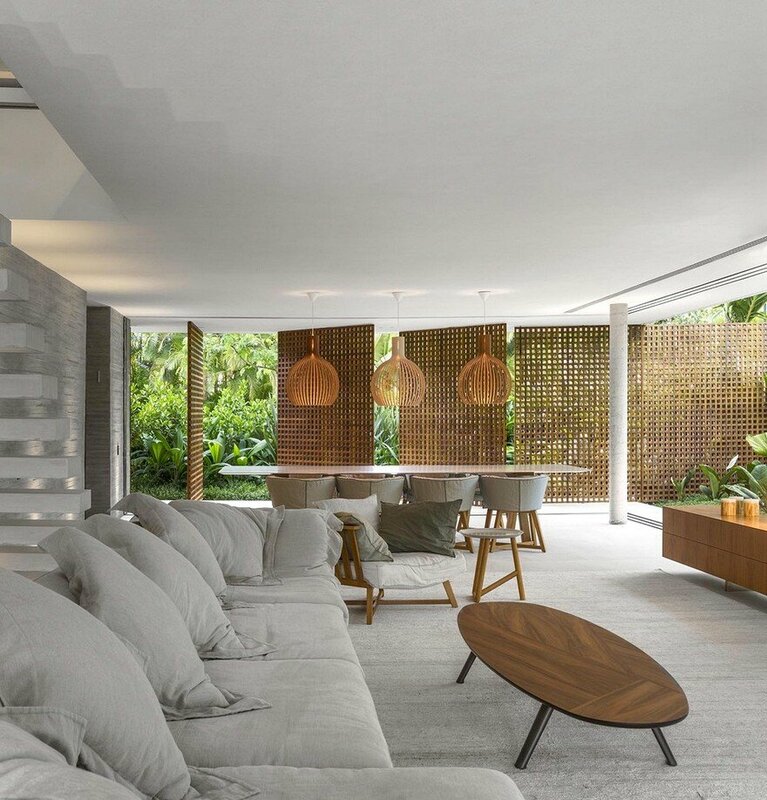 Comfort and building maintenance throughout the years are two fundamental aspects for houses built in tropical areas next to the sea, where the high temperatures and the effect of the sea air determine the extreme local conditions. 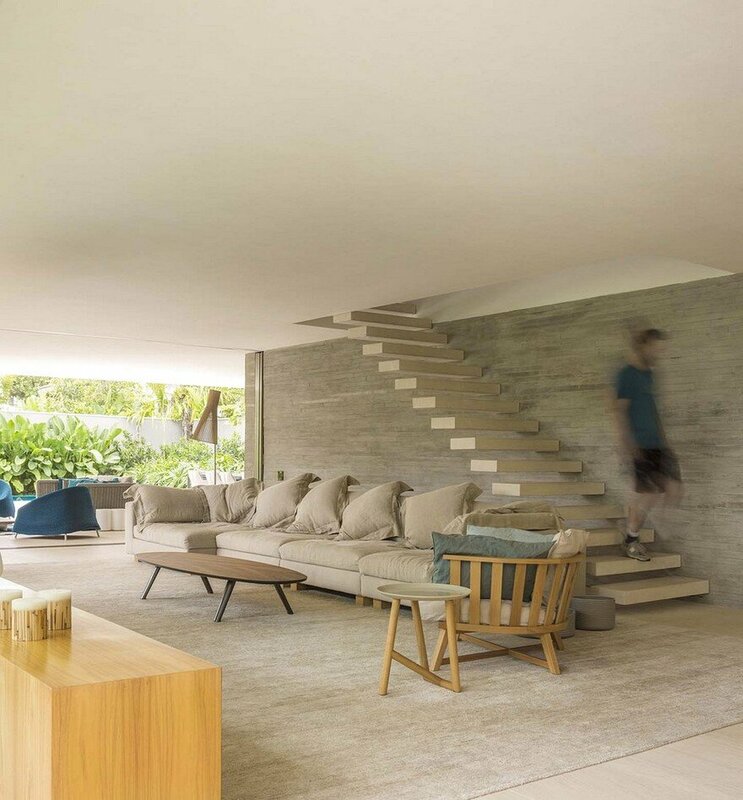 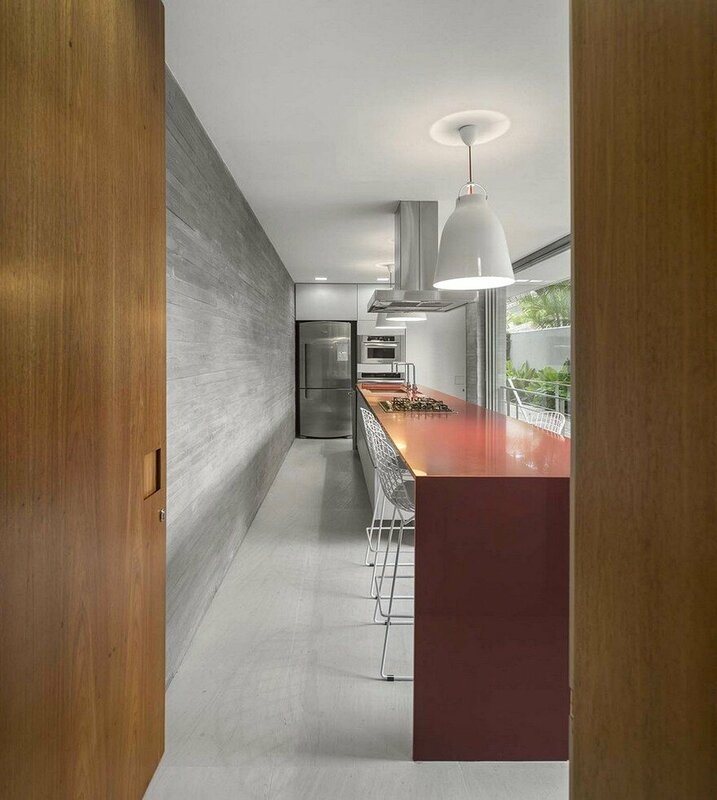 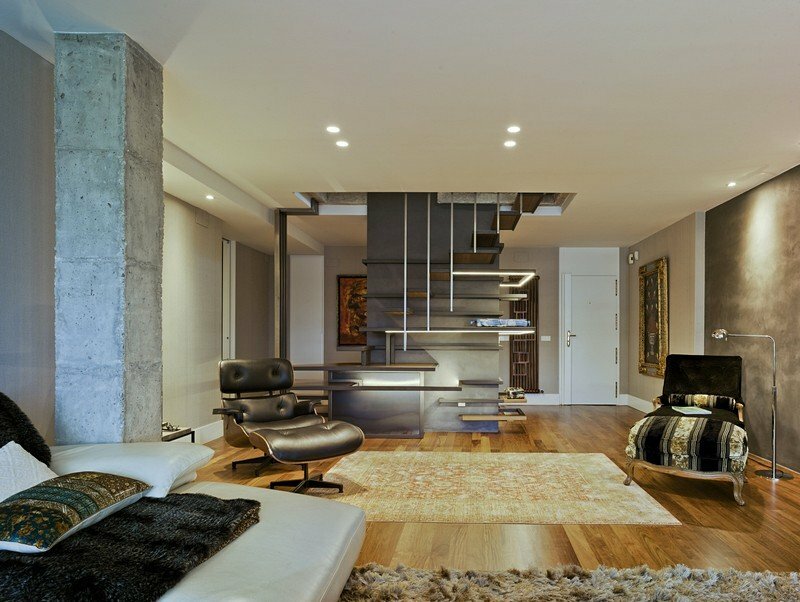 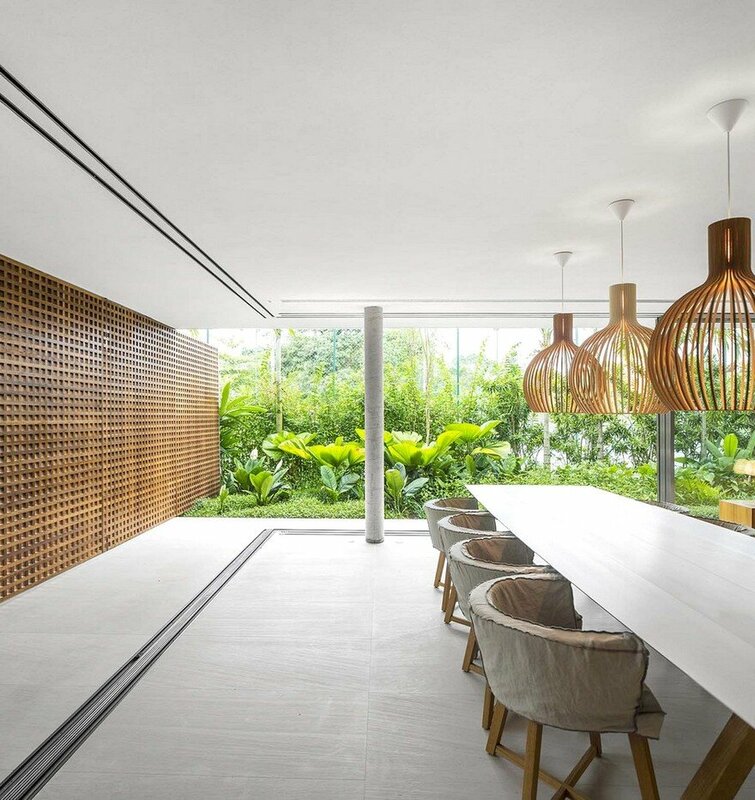 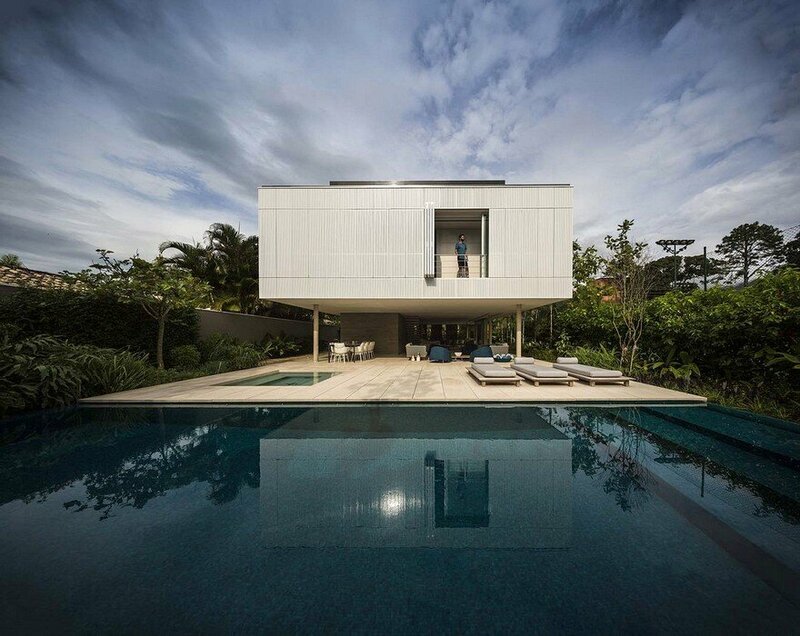 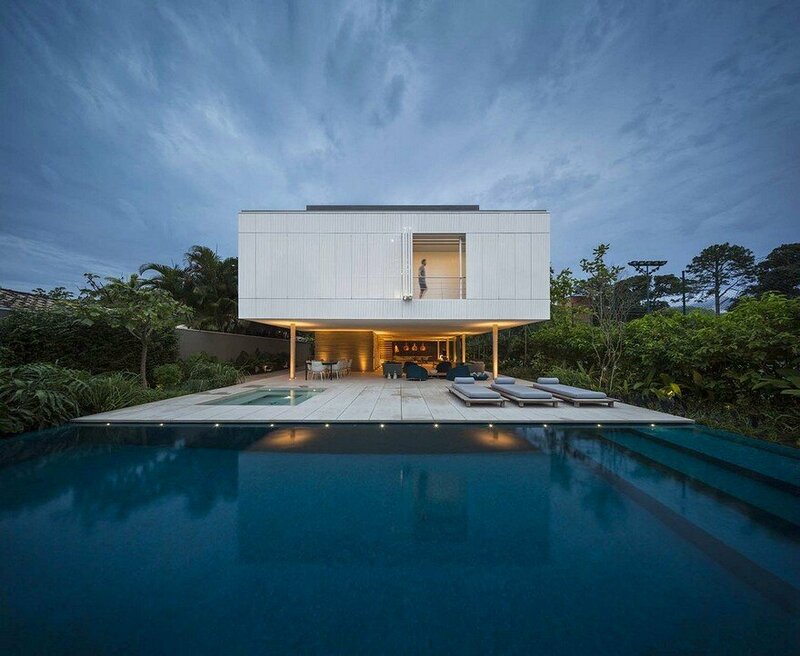 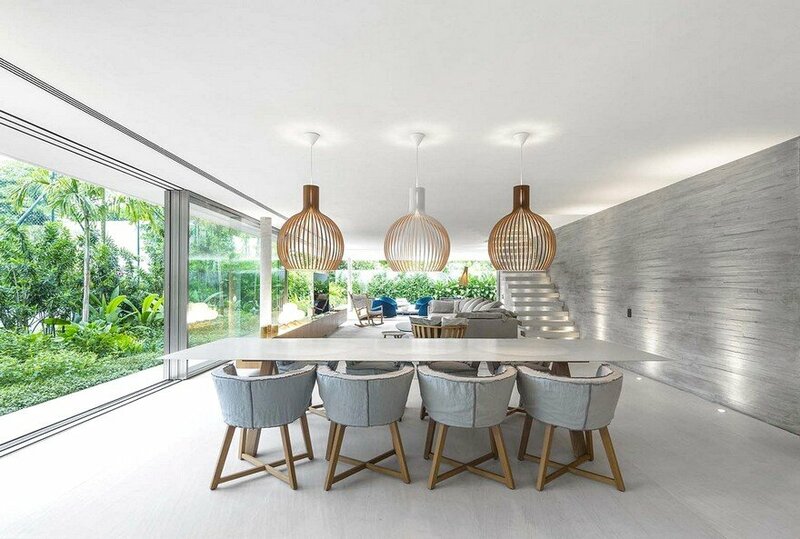 The Casa Branca project, located on a beautiful Brazilian beach, on the northern coast of São Paulo, made these questions as determinant to organize the plan and for the selection of materials to be used. 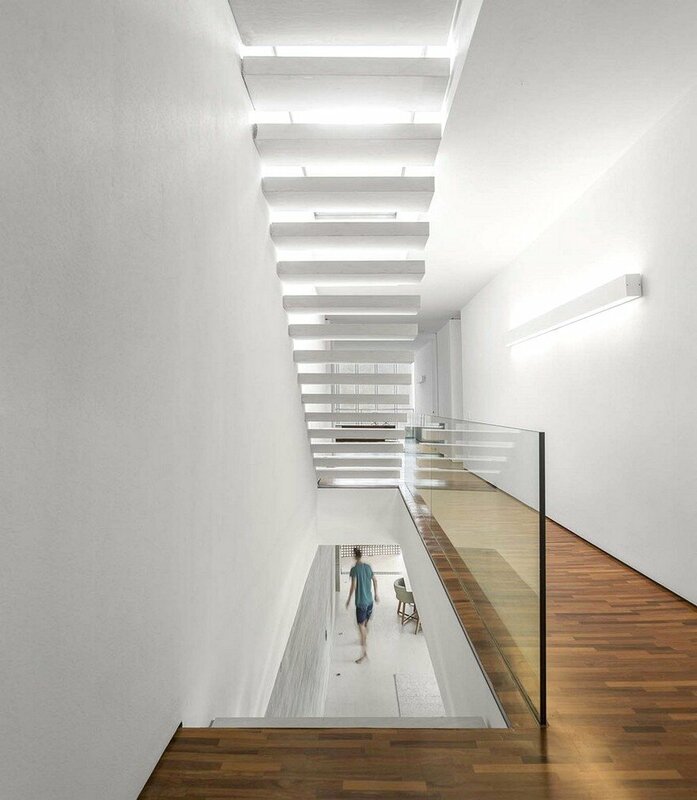 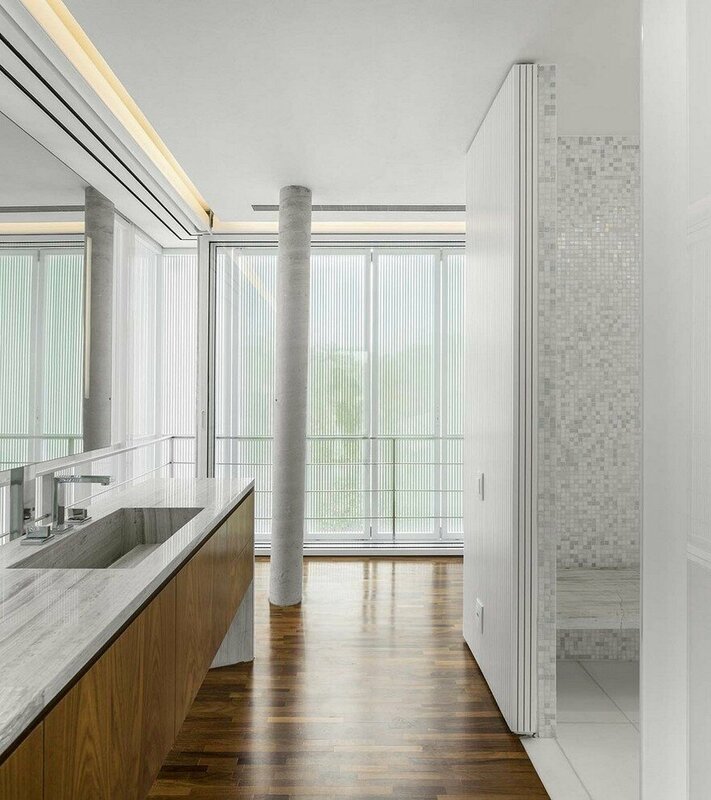 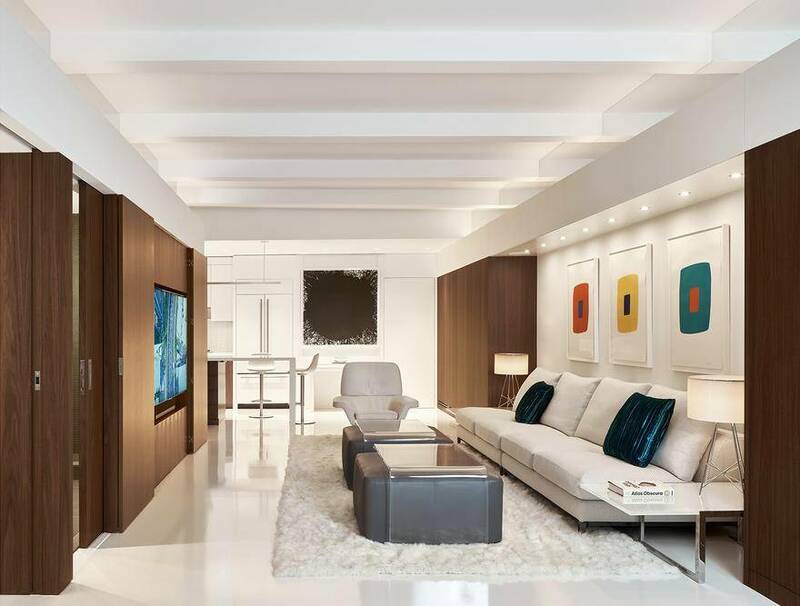 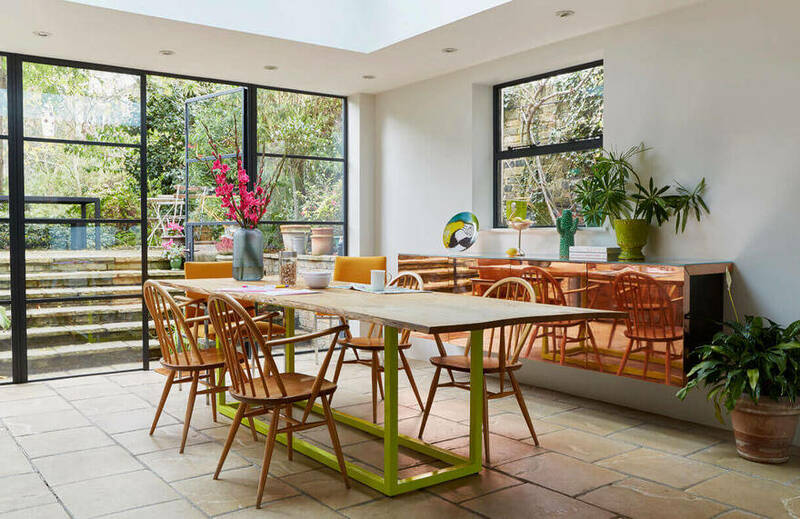 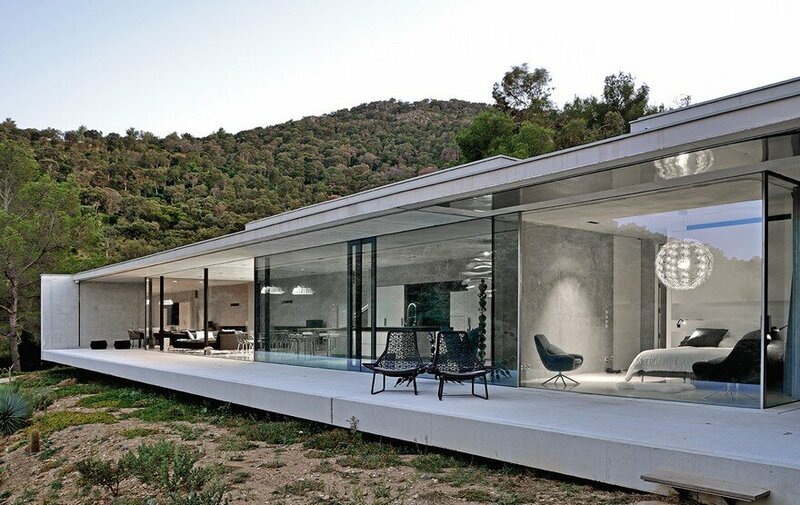 All of the ambients have floor-ceiling window frames – in the spans, like true walls of sliding glass – to create a pleasant thermal sensation and blur the division between interior and exterior. 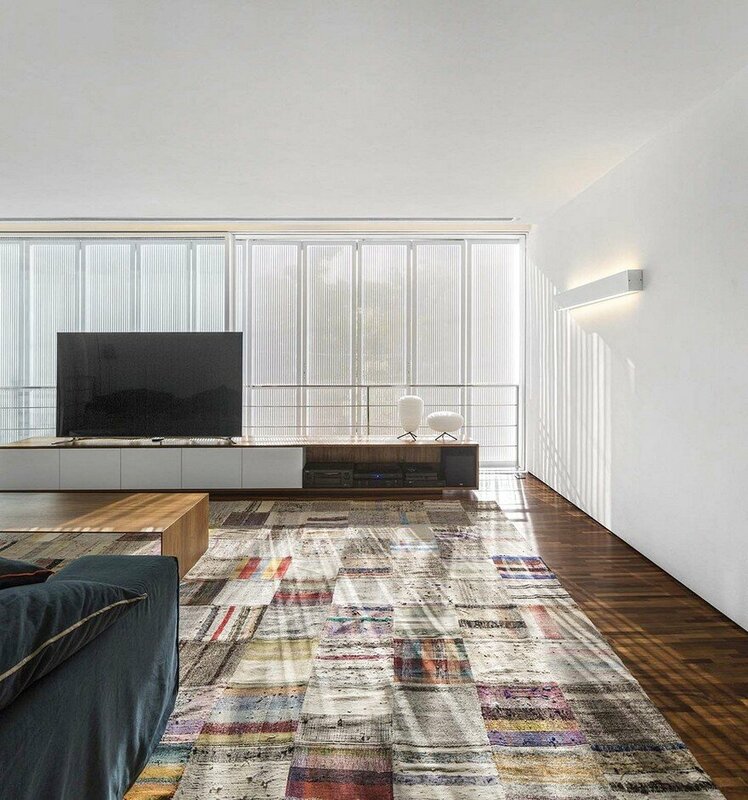 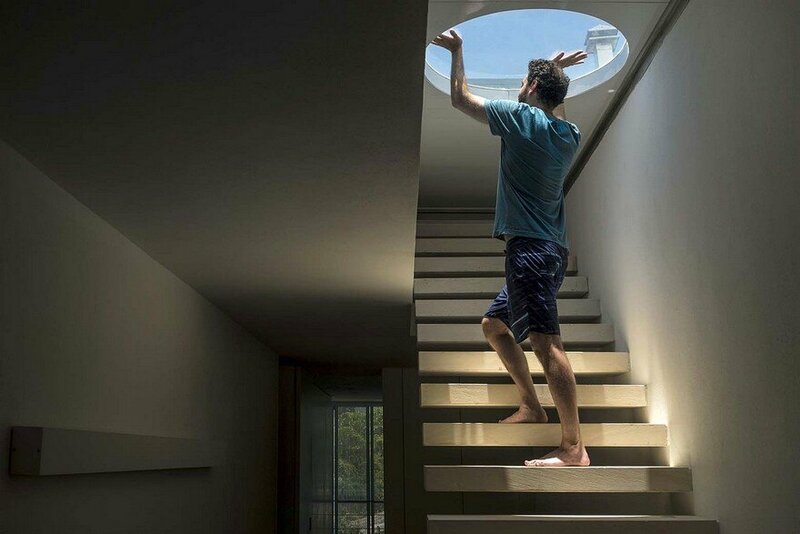 In the living room on the ground floor, for example, 3.0 X 2.5 glass doors are built into the walls and integrate the indoor space with the balcony,,in this way creating cross ventilation with the aim of reducing the room temperature. 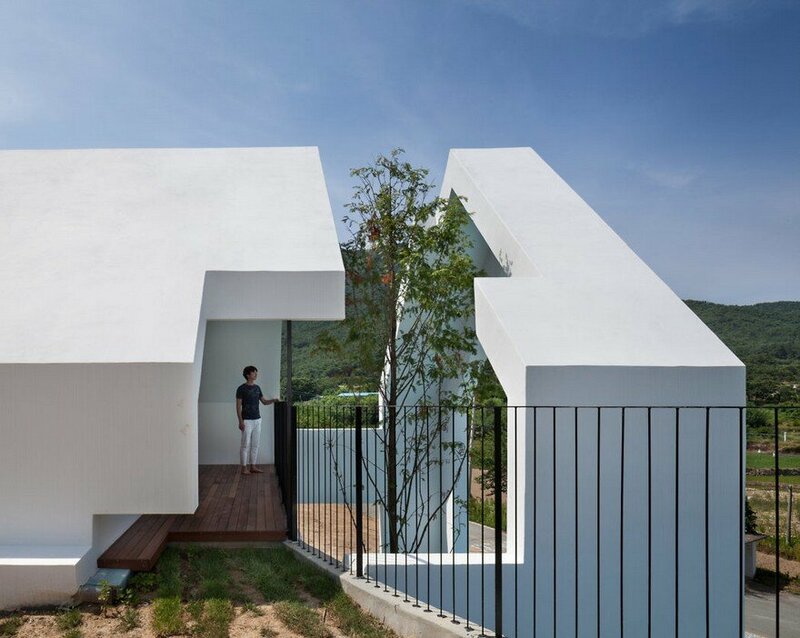 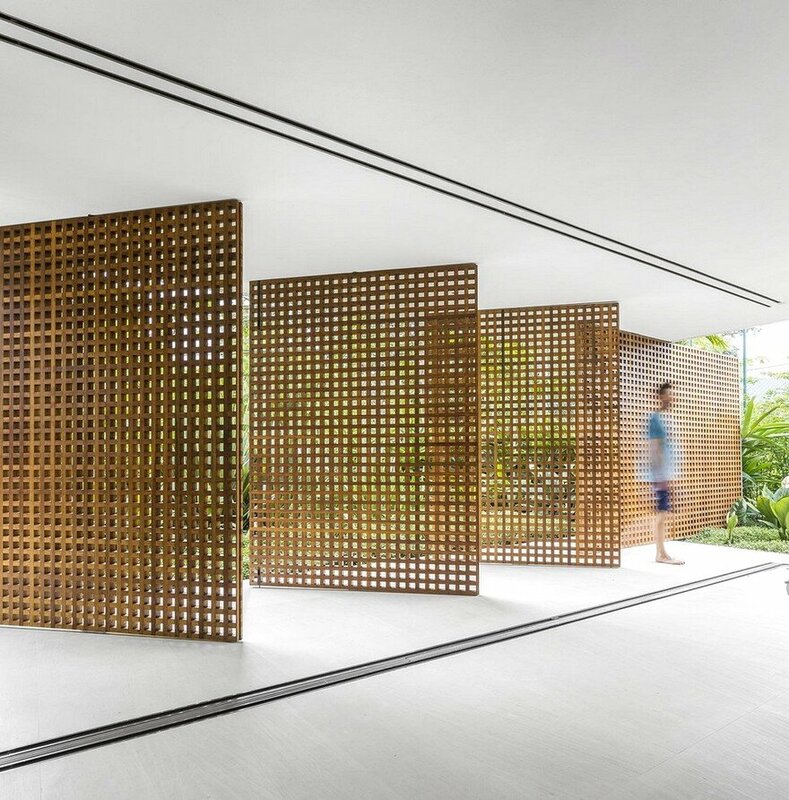 In this same space, wooden perforated doors – like large muxarabis – shade the interior without blocking the breeze.